Due to its low electricity costs, Plattsburgh is an attractive place to set up a commercial cryptocurrency mining operation, since it uses up a lot of electricity. Commercial cryptocurrency mining has caused Plattsburgh to exceed its allotted monthly power budget, which forced the city to buy power on the open market for a higher cost. The purchase of electricity from the open market has caused significantly higher electricity bills for Plattsburgh residents. The city of Plattsburgh, New York announced on Thursday that it is temporarily banning the commercial mining of cryptocurrency for 18 months. Plattsburgh residents have seen skyrocketing electrical bills – as much as $US100 to $US200 increases – as a result of commercial cryptomining operations that mine for cryptocurrencies like bitcoin, according to Plattsburgh Mayor Colin Read, who spoke with Motherboard. The city is taking action to protect its citizens from those rising electrical bills that the city of Plattsburgh says is caused by cryptomining operations. It turns out that commercial cryptocurrency mining operations used up so much electricity that the city of Plattsburgh exceeded its allotted monthly budget of electricity. One single cryptocurrency mining operation called Coinmint used up around 10% of the city’s allotted power supply alone in January and February, according to Motherboard. When its electrical budget was exceeded in January, the city had to buy electricity from the open market at a higher cost, which was distributed among its residents. Mining for cryptocurrency involves powerful computer components that use a large amount of electricity in order to solve complex computational problems. The problems being solved are used to verify the transfer of cryptocurrencies independently of a central bank. Those components are usually dedicated cryptocurrency-mining components called “ASIC” cards. Some operations use graphics cards that are normally used to run high-resolution PC games. Plattsburgh was a particularly attractive place to set up a large-scale commercial cryptocurrency mining operation due to its low electricity costs compared to the national average. The city charged 4.5 cents per kilowatt-hour (kWh) when the national average is about 10 cents per kWh. And industrial operations, which include cryptocurrency operations, paid even less at 2 cents per kWh for electricity. Plattsburgh obtains its electricity from a hydroelectric power dam on the St. Lawrence River. 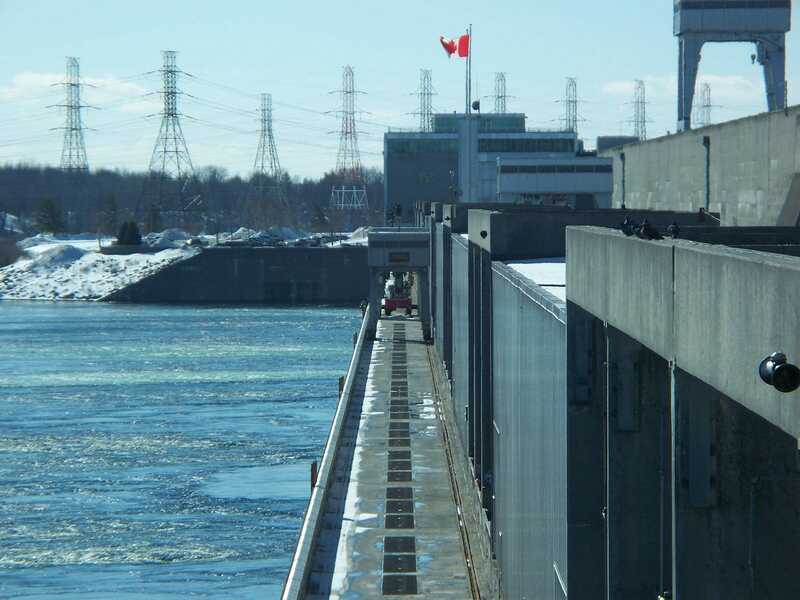 Wikipedia/ceedub13The Moses-Saunders Power Dam on the St. Lawrence River. The city’s moratorium isn’t designed to remove cryptocurrency mining from Plattsburgh. During the 18-month moratorium, the city will work with residents and commercial cryptocurrency miners to come up with a solution, like applying overages on miners when the city’s power budget is exceeded, according to Motherboard. Local cryptocurrency miners who spoke with Motherboard say they’re willing to work with the city to come up with a solution. The city will issue a penalty of $US1,000 per day of operation for any “firm, person, corporation, or other entity” that established or runs a commercial cryptocurrency mining operation when the moratorium goes into effect. The effective date of the moratorium has yet to be approved.